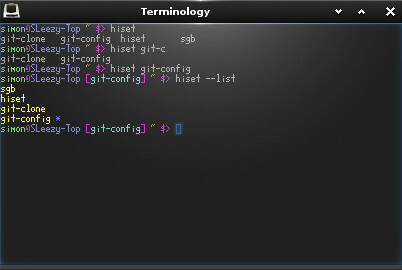 Generally i use several terminals at the same time, generally one per project or task, i’ve always been annoyed that i either loose history or it becomes hard to find so i created hiset (history set) pronounced hi-set. It allows you to easily assign a history per shell sessions and then manage the multiple history files . Hiset works by modifying the HISFILE environment variable meaning that the history command works as usual within the session. 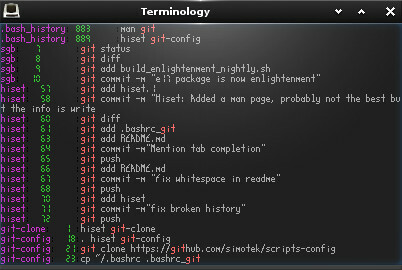 which has some cool git integration. Hopefully you can come up with a better fix, but if not, feel free to incorporate my hack, but document the prerequisite! Thanks for the Report + Patch, i modified it slightly to firstly use $OSTYPE to only apply the patch to bsd systems and with that if the version of getopt you suggested wasn’t in the path it disables short options. I have pushed the change to github if you could test it that would be fantastic.